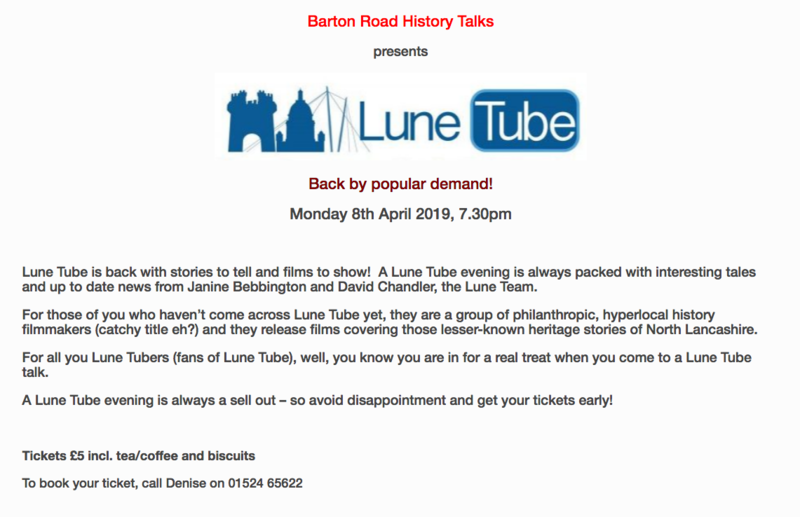 Local History Talk – Lune Tube! The future of Barton Road Centre is uncertain. However, one this is for sure – Lancashire County Council have declared the building surplus to their requirements under their proposed buildings restructuring arrangements. This means that other organisations can express interest in taking the building on. However, whether that would mean that the building would continue to offer community provision is far from clear. The County Council is currently running a consultation about the proposals to close buildings which will run until mid August. If you would like to have your say on how you feel you will be affected by the closure of our community resource, or for that matter and of the other proposed closures, OR you have any suggestions of how they can improve the current situation, fill in the County Council’s on-line consultation document: It only takes five minutes.